In honor of Infants Remembered In Silence, Inc. (IRIS) 25th anniversary, the nonprofit will be holding 25 events for those remembering a child who has passed away. "Some of the events are open to the public," said Diana Sundwall, IRIS Executive Director. On Saturday, IRIS will be hosting a Memorial Water Lantern event on Lower Lyman Lake on the Carleton College campus in Northfield, she said. 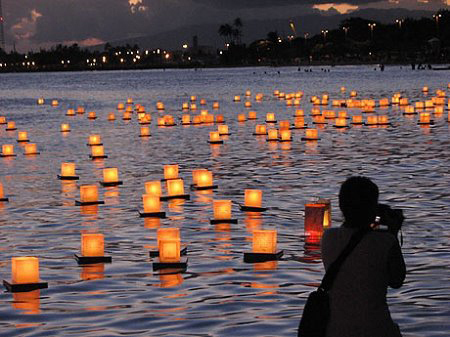 "Those attending will be floating decorated, candle light lanterns on the lake," Sundwall said. The Lanterns can be purchased on the IRIS website (www.irisRemembers.com) with a limited number being available for purchase at the event while supplies last. Decorating of lanterns will be held from 4-8 p.m. on Saturday at Lower Lyman Lake. Sundwall said participants can be as creative as they want with the four-sided lantern. She said in the past, some have included personal messages, poems, pictures, rub-ons, fresh flowers or anything else that will show up when the candle is lit. Sundwall said IRIS will provide markers, but participants are welcome to bring other embellishments and decorations. Because the lanterns will be floating on the water, it is important to keep the decorations and embellishments light weight and water proof. Sundwall said that those wish are welcome to bring their own picnic dinner to enjoy on the banks of the lake during the event. She said the lantern launching will begin at 8:30 p.m. (at sunset) and will go until the lanterns extinguish themselves.